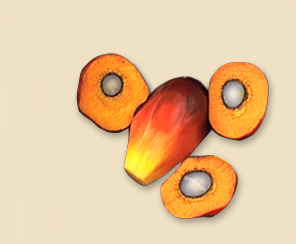 Since 2012, 100% of the fruit received at our mills is certified against the RSPO Principles and Criteria. With 17,325 smallholders and outgrowers associated with NBPOL through the supply of fruit to our mills, they are both a core part of our corporate responsibility and crucial in our journey towards sustainability. At all of our operations, smallholders are, in principle, independent. They retain legal authority over their land and farming systems choices without any mandatory or contractual obligations to the mill. Financial credit from financial institutions and from NBPOL is unsecured and land cannot be forfeited for default on repayments or other non-compliance. In most cases our company represents the smallholders’ only available FFB market, and on this basis, are referred to as ‘Associated Smallholder’. We, through our Smallholder Affairs Officers, and the Government extension services have a significant level of responsibility for supporting and encouraging the smallholders in being able to meet RSPO requirements. NBPOL made a public commitment in 2009 to not establish new planting on peat lands. This firm commitment applies to all smallholders and outgrowers that are part of, or wish to be a part of, NBPOL’s FFB supply base. In addition, NBPOL introduced a Zero Burn Policy for new developments in 1969. This Zero Burn Policy also applies to all smallholders and outgrowers in NBPOL’s FFB supply base. This is enforced through awareness programs and a stringent planting approval process for smallholders wishing to establish oil palm plantings. GHG emissions reporting and targets that are outlined in NBPOL’s Carbon Reports and Biennial Sustainability Reports is inclusive of all smallholders and outgrowers in our FFB supply base. In past years, we have increased our focus on the integration of smallholders in our sustainability efforts and are making significant progress. All of our smallholders are now RSPO compliant and are certified as part of the mill’s FFB supply base. NBPOL is now working with Rainforest Alliance to achieve Sustainable Agriculture Network (SAN) certification for all our operations. Our first estate was SAN certified in March 2017 and we will roll this out to all estates and smallholders progressively over a 5-year period.